Video and audio go hand in hand when it comes to movie or TV entertainment. If the quality is low for any of the two, the viewers can feel the effect. Hence, if you are planning to have a home theater, you should choose a display and sound system that are of highest quality. 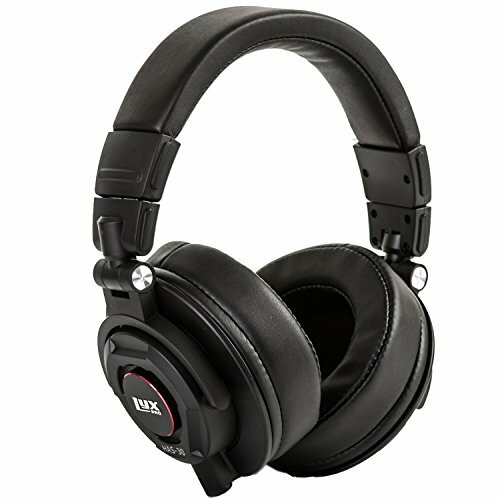 Additionally, you must have the best home theater headphones as they can provide you the true home theater experience. Home theater headphones are over-the-ear, closed headphones that can either be wired or wireless. They also vary in terms of prices, but you can easily find a decent pair without spending a fortune. The key is to find good quality which is easy to get if you are buying from a trusted brand. Nevertheless, the choices are too many and who has the time to read specifications and reviews for every single model, right? So, to make things a bit easy for you, we have reviewed three home theater headphones that we think are worthy to invest on. 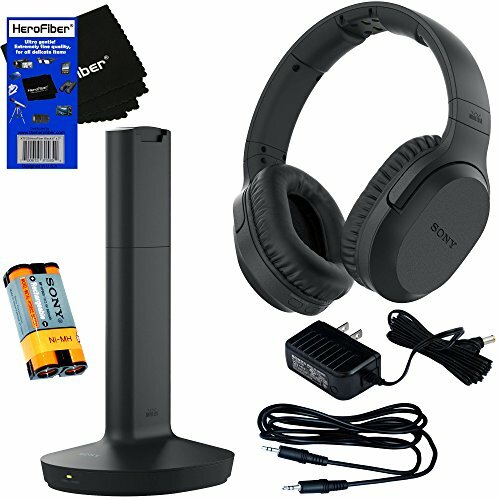 This is a complete headphone kit from Sony that has been specifically designed for home movie theaters. Inside the box, you get wireless headphones, a transmitter base station, a rechargeable battery, an AC adapter, stereo connector cables, a user’s manual, and UberFibre cleaning cloth. The pair of headsets has a signal range of 150 feet, which is more than enough for a big home theater. It blocks any interference from outside since it is integrated with excellent noise-canceling technology. Additionally, it has automatic tuning that further improves transmission as well as a frequency response between 10 and 22000 Hz. Audiophiles would love this even better because it has a 1.57 inches driver. The ear pads are extremely soft which means you can use it for hours without feeling any discomfort. Speaking of hours, this pair of headphones can be used for 20 hours on full charge. Setting this up will also not be much of a hassle since all you have to do is connect the transmitter to your home theater system and wear the headphones. The headphones automatically sync with the dock, so there is no need to figure out how to sync the headphones with the source. With crystal clear sound and a Voice Mode button, this is a truly dynamic headset for home theater. 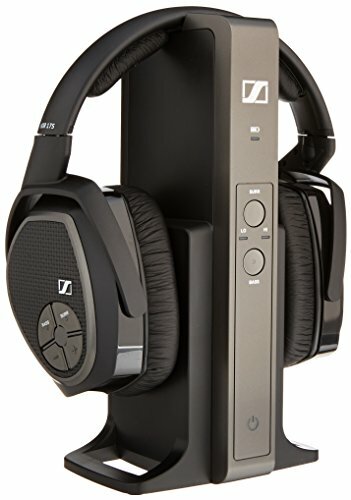 The RS 175 RF Wireless Headphone System lives up to the reputation of Sennheiser. It comes with a pair of over-the-ear, closed wireless headphones, a rechargeable battery, and a multipurpose transmitter. The headphones have an excellent transmission range of 330 feet and battery life of up to 18 hours when fully charged. However, in order to achieve that, the headphones should be charged initially for 16 hours. The 11-ounce headphones have earpads that cover the ears completely so that no sound escapes and no noise enter the headphones. They also have a surround sound mode and a bass boost for those who want something different. The controls are located on the side of headphones, so you do not really have to move and reach for the transmitter or TV just to adjust the settings. The transmitter is highly advanced and versatile since you can connect to the home theater system digitally and analogously. It also acts as a charging cradle and docking station. The LyxPro HAS-30 Headphones are made for professional recording as well as for home theater experience. It is a pinnacle of comfort as the entire headphones are made of premium quality leather. This is because they are designed for studio use wherein artists spend hours wearing headphones. This 10.6 ounces headphone system comes with two removable wires that can be connected to supra-durable connectors (3.5 mm and 0.25 inches adapters) that are also included in the package. The straight wire has a length of nine feet, and the coiled wire can go up to ten feet. These lengths would be enough to comfortably sit on the couch in front of the theater screen at home. With a 50 mm driver and a sensitivity of approximately 100 dB, this one delivers accurate sound. The headphones also have a frequency ranging from 16 to 26000 Hz. The ear cups are quite big and cover your entire ears without feeling heavy; thus, they can isolate the input sound and would not let others around you hear the audio as well. In addition, these ear cups are replaceable and rotate at 180° angle. The three products are included in the list of the best home theater headphones because of their sound quality, comfort, and value for money. When you choose to use the Sony MDRRF995RK and the Sennheiser, there would be no hassle of wires, and you can move around freely and hear the sound clearly within the designated range. That said, the LyxPro may come with wires, but they do provide ample convenience since the length is enough for a home theater room. In terms of comfort level, all three models are equally great. After all, comfort is very important when watching movies at home. Hence, it all comes down to your budget and your preference for wired or wireless headphones.